In 1968 I entered Queens College (CUNY) graduate school in Painting. 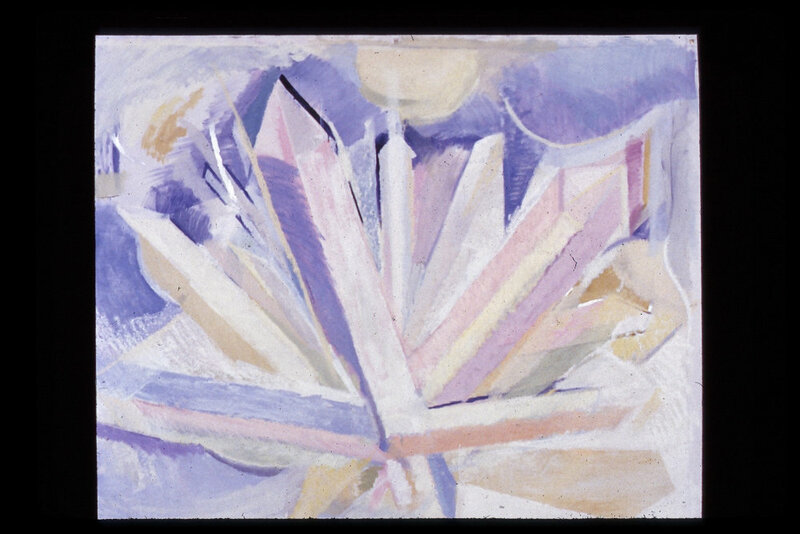 I had completed a BFA at Wash. U in St. Louis, and I thought at the time “No way do I want to be like a western European male painter”; I don’t want to paint like Cezanne, looking outward, mastering light, form, and space. I want to be making art that comes from my sense of female and body, art “from the inside out.” The surprise came when I actually started doing that (see below, the image where you see folded canvas fabric, brown paper, sand, and paint.) I was just beginning to feel that I was getting somewhere when a faculty committee, all male, told me after my first year that they did not consider me a serious artist, that I should “go home, have babies, and teach grade school.” The year was 1969, right before feminism hit the streets. I was crushed, but by no means destroyed! I left NYC and continued to make art during an otherwise tumultuous period of my life. It seemed I couldn’t stop. Ten years later, married and with a two year old son, I was in a graduate program at Mass College of Art in Boston. I wanted to find out if I was really an artist, and if not, why was I still making things? Below, you can see a few of the results of my self directed program in which I mapped my psyche using art. I needed to tap the darker side the most, definitely a “grounding” experience. 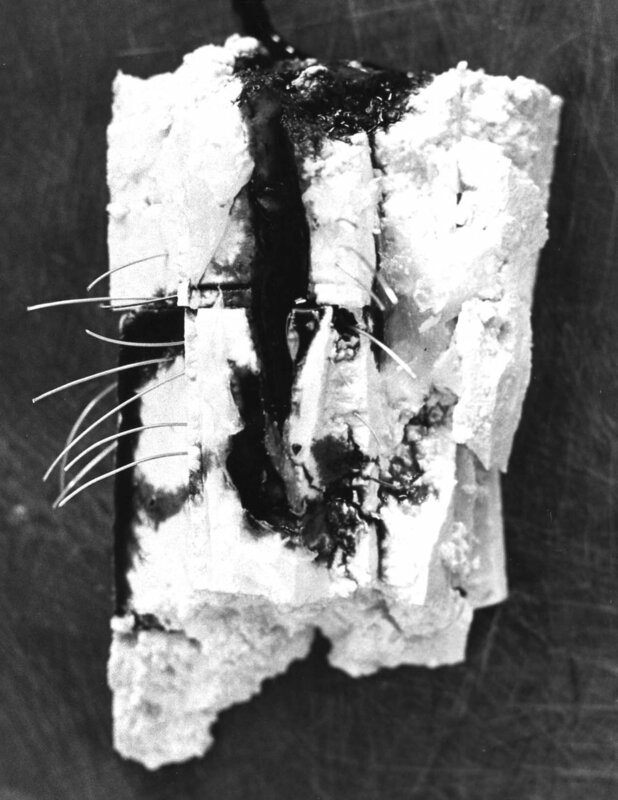 After graduation, armed with a solid sense of my own inner geography, as well as the courage to “bring the inside out,” I created work using fabric, latex, paint, plaster - all kinds of materials - in formats ranging from large scale drawings and paintings, to sculpture, to installation, and to collage. Fast forward to the 21st century. 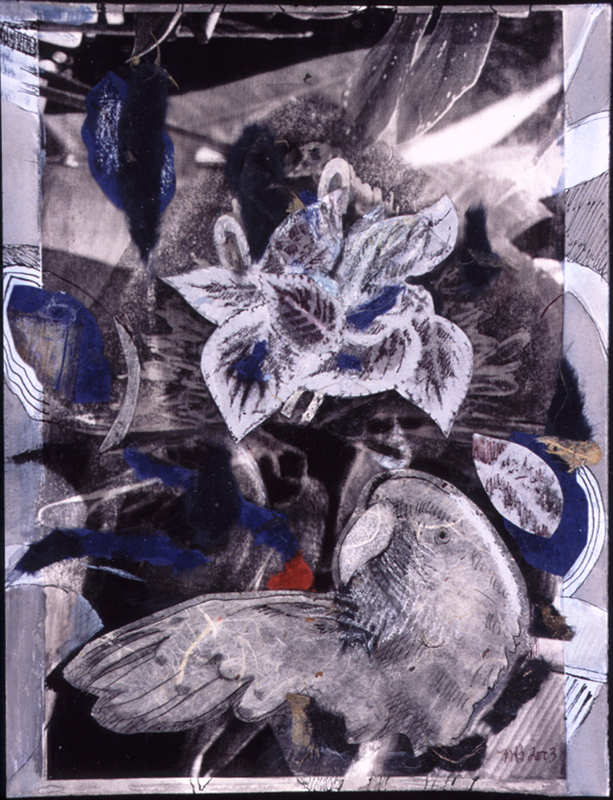 Included above, you can see two collages, one with a bird, inspired by a trip to Costa Rica in 2002, and another in response to the sensual poetry in the Song of Songs. The latter piece was created at VCCA in 2003, the very same month that I visited the studio of an artist working with encaustic paint. Below are some examples of paintings I have done since that time, all using pigmented beeswax and damar resin, also called encaustic, also called “Hot Wax.” All of these result from a deep response to a poem, to a resonant place, to a memory, or to a sense of what is beneath the surface of nature. All are a part of me, shared.